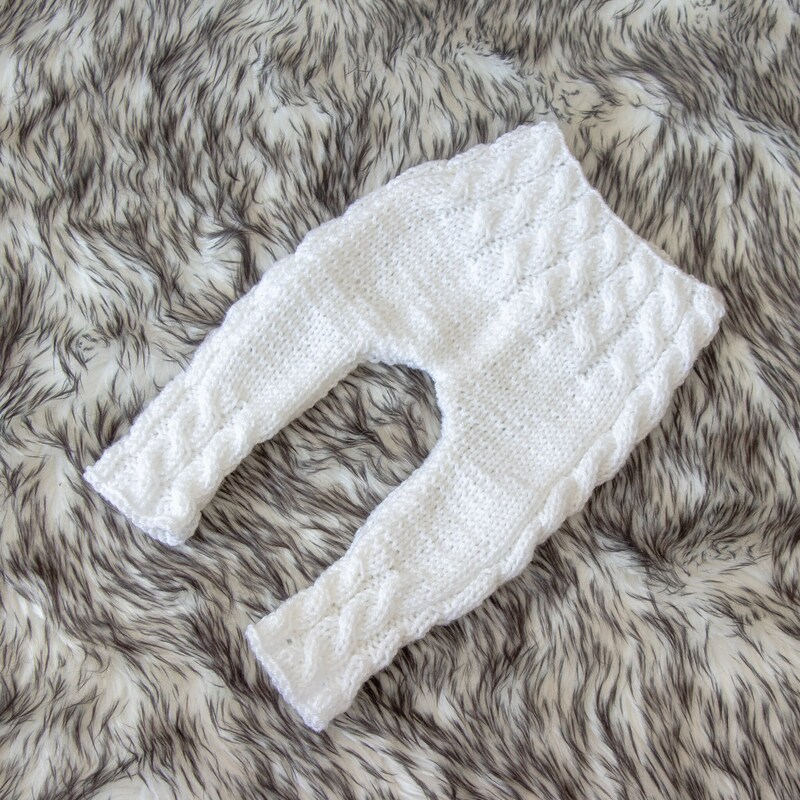 This is hand knitted baby outfit, made to fit a baby 52-56 cm body height, age up to 3 months, weight 3 - 5 kg. 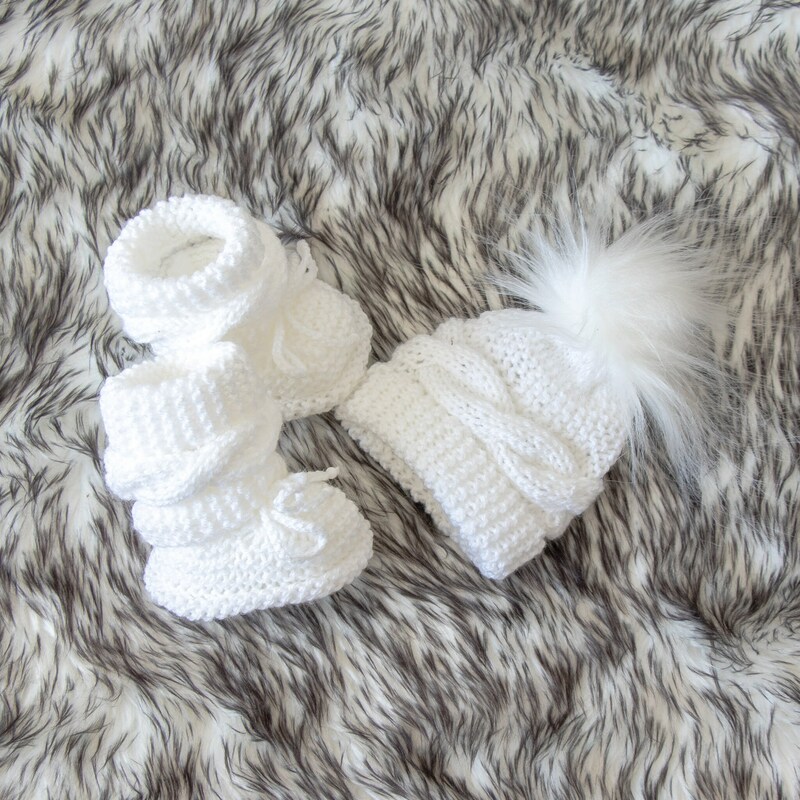 Made with white antiallergic soft acrylic yarn. 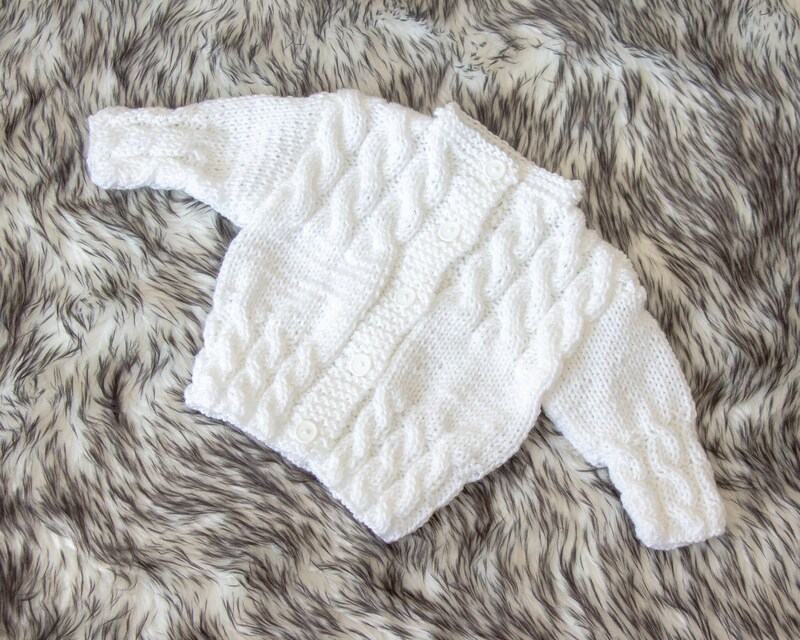 An outfit would be perfect for a Baby Shower gift, a Christening or Hospital gift and it also makes a great family heirloom to pass down from one generation to the next. This outfit includes - sweater, long pants, hat and booties. Foot length 9 cm /3.5" approx.